Lab 01 – Students perform a guided exploration of the classroom lab environment. Learn how to log in, navigate around and explore different environments that they will be creating from scratch throughout the course. Students will set up all their bookmarks, and email and Office Settings. Lab 02 – Students work with several of the deployed collaboration list apps. They extend them with list columns based on the most common list column data types. Students also create site columns and then create multiple views on each of the lists they created. They set up versioning and work with creating and then deleting the different versions. Students also create and use calculated columns as well as saving a list as a template. Lab 03 – Students create sub sites based on out of the box collaboration templates deployed to their environment. They learn to plan, diagram and then create the site navigation. Some of the sites will inherit the parent site navigation and some will not. Some of the sites will have different feature settings. Students will build upon their earlier skills to create a set of lists and libraries with content and settings adjusted and they will also be able to create a site from a template they created. Students will send items to the Recycle Bin and then restore them. Lab 06 –Students will go through the process of planning and then implementing custom content types from scratch. They will use the Intranet they built out earlier and determine which of the content types are candidates for the content type hub and which are best for individual site collections. Lab 07 – Students work with many of the Web Parts covered in this module. They will learn how to work with the Web Parts Settings in order to change the way the Web parts are working on their pages. Lab 08 – Students will work with SharePoint Workflow to automate some business processes. What is SharePoint Designer 2013? Lab 09 – Students will open SharePoint Designer and use it to add content to the sites. Lab 10 – Students will explore the Web Content Management features of SharePoint via working with a Site Collection where the top level site is based on the Publishing Portal. Branding in SharePoint refers to customizing the look and feel of the User experience. This has traditionally been something that developers have handled. In SharePoint the branding capabilities that are in the hands of the Site Owner or Site Collection administrator have been expanded considerably. In this module students will discover just how far they can take it before calling in the Developers. Lab 11 – Students will use the out-of-the-box branding features of SharePoint to change the look and feel of SharePoint’s standard presentation. They will explore most of the out-of-the-box browser based options available. In previous releases of SharePoint most of the amazing functionality of SharePoint Search was configured by the Farm Administrator or Search Expert. 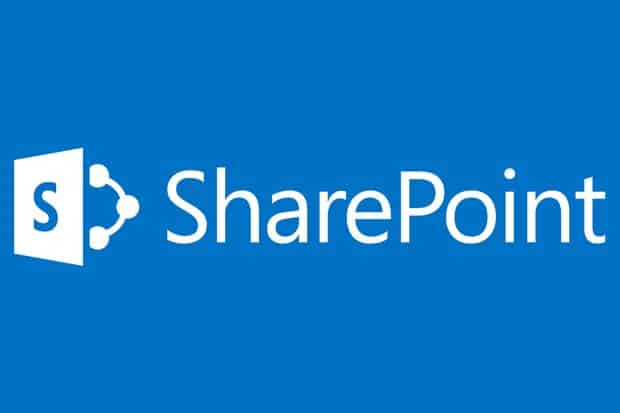 In SharePoint 2013, SharePoint the Site Collection Administrator and Site Owner have much more power in their hands to create sophisticated solutions via out of the box web parts and schema settings. Students will learn of the new features and how they can use them to help users find what they want when they want it. Lab 13- Students will work with the current Social features from the Site Owner and Site Collection Administrators perspective. Students will explore and work with Community Sites and explore the Community Portal which has been deployed in order to create a full-fledged Knowledge Base Sharing solution. Lab 14 – Students will set up Site Collection Auditing and be lead through some of the other features covered in this module. The last module of the class is a breakdown of the process of implementing a governance strategy. Several of the most successful proven techniques are discussed along with some very successful but lesser known approaches to this important topic. Students are then presented with ‘where do we go from here’ options as the complete the class. "Spike's the best! His real life scenarios and analogies are very relatable and draws a clear picture for the student to understand." "he talks super fast but is extremely clear and could stop at any moment to explain something if it was confusing to me. I am not from the IT world so there were a lot of terms I didn't know and he patiently explained everything." "Great temperature control. Fast machines, comfortable chairs. Great facility in general. Loved the smart boards"